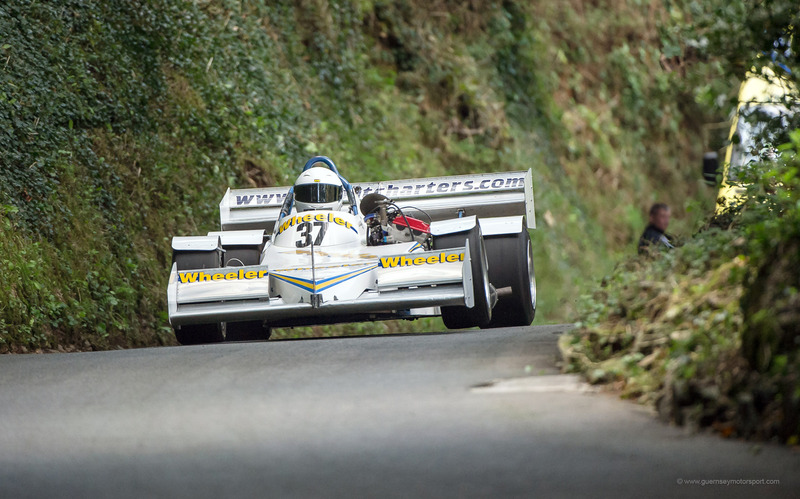 When one of the islands fastest ever competitive drivers just so happens to also be one of your longest serving employees it makes a huge amount of sense to work together to help push him – and his self built cars – to the limits. 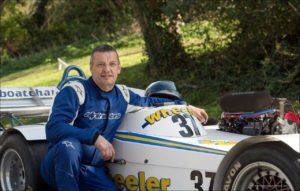 Tim Torode has been competing competitively in the local racing scene since his first outing in the autocross championships at 16 – the series is run on a local beach allowing him to compete whilst still too young to obtain a road license – before making his debut on the road courses when he turned 18. His first car, a “space frame special” that he shared with his friend Nigel Ozanne allowed him to rapidly progress up the time sheets and eventually make the switch into one of the most recognisable cars he would drive during his career, a 1967 Ford Anglia complete with newly agreed Wheeler Developments graphics. The single seater Matlock Mark 18 that Tim now pilots is a self built special that features a custom tuned 1600cc engine straight out of a Suzuki Hayabusa, and as with all self built, competitive machinery needs constant maintenance. 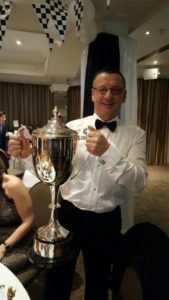 With the recent award of the “Paul Le Pelley Memorial trophy Tim – now aged 55 – has not only been recognised for his achievements by the governing body of competitive motorsport locally but also made a firm commitment to continuing to compete and break records at as many events as are available. As in his work with Wheeler Developments Tim is meticulous in the preparation of his cars and this level of quality craftsmanship is very likely to help him continue to push – and beat – drivers many years younger. As an established local company often quoting for work against more recent or “overnight” builders Wheeler Developments understands Tim’s continued efforts in this goal and believes – as many people do – that experience and quality will always out perform youthful enthusiasm and bravardo.